Senior Living Options - We Can Help! We want to make it easy for you to navigate the various options available in senior living. All of our communities offer independent and assisted living, and many of our communities also offer memory care. 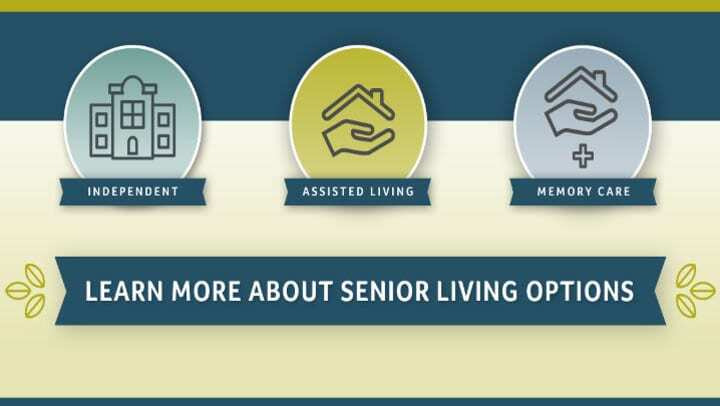 We created this infographic to help you in your search for senior living options - its an easy way to compare the various options and find the best fit for you! Living at a Merrill Gardens community means you are in charge of your own life. With scheduled transportation, weekly housekeeping, 24-hour staffing and Anytime Dining, you can choose the lifestyle that best fits you. That gives you the freedom to enjoy your life! As your needs change, we are ready to make the transition with you - our communities are licensed such that you can stay in your apartment even if your care needs change. We hope this resource helps you in your search and we encourage you to give any Merrill Gardens community a call if you have any questions. We are ready to welcome you to your new home! To see our full size printable infographic, click here.